As you build your website and set up your online business and SEO, there are certain steps you need to take to ensure that you’re getting as many eyes on your website as possible. As you develop your online content strategy, seriously consider using video content. Why? Videos convey a lot of information while drawing in many viewers. Don’t worry if you have no directing, recording, or editing experience. With the advances in modern recording technology and editing software, even a short video from a smart phone can easily be made into worthwhile content! If you’re new to video content or just want a refresher, Virtual Market Advantage will go over what you need to know to get started. When developing a marketing and content strategy, it’s best to start by learning who your audience is and what drives them to your website. What type of content pulls them in? What content makes them stick around and convert to sales? Are they looking for motivation? How-to videos? Entertainment? Do they want to know more details about your product? Using analytics tools, you can keep track of what your viewers are looking at, how long they stick around on a particular page, and all kinds of demographic information about the people you’re reaching. Based on this information, you can see what type of video content might connect best with your audience. Videos are a great way to get almost any type of content to your users. After you understand your audience a bit more, the next step is to set goals for your video marketing campaign. What are your marketing goals? What do you want your videos to accomplish? If your goal is to increase your sales, then you will want to focus your video content around marketing your brand and product with useful information. If your goal is to spread awareness and gain followers, you might choose to focus on entertainment videos. Knowing what you’re up against is as important with your video content as it is for your website as a whole. 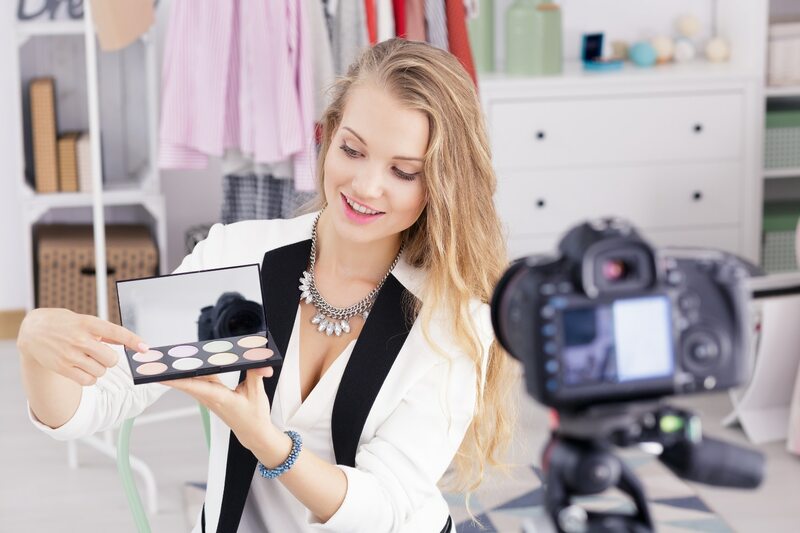 Researching how businesses similar to your own are marketing though video can help you understand your audience, focus your message, and inspire you with new content ideas. Check out your competition’s YouTube channels, other social media pages, and websites to see how they market with videos and how they link everything together. As you research and take note of your competitors’ content, make sure that you remain authentic to your brand and provide content with a unique spin. Simply copy/pasting a marketing campaign from another company won’t work as well as forming an individualized strategy (and can get you into legal trouble). Once you have done some research and understand your audience, you should create a YouTube channel for your business. This is simple to do, as you just need a free Google account to get started. You probably already have one that you use for your business, but if not, go ahead and create one. It’s better in the long run to link your social media accounts and website with an official business email address rather than a personal one, and using a Google account makes a lot of steps much simpler. Once your channel is created, there are a few basic elements to focus on first. These include your channel icon, your “about me” section, and your cover art. Connecting your YouTube account with your brand in this way will make it clear to your audience that they’re in the right place and will make it easier for people to find and reach your company. After you create some videos, upload them to your YouTube channel. From there, you can spread them to your other social media pages and connect back to your website. Video Testimonials - These are popular, especially for e-commerce stores, because they establish trust and social connection among viewers, and they can come across as more genuine than a text review. Ask a few of your loyal customers to provide a video testimonial of your product or business. This is a great way to start up your video content while getting honest reviews at the same time. You can simply have them send in a self-made video from their phones or set up a more professional shoot. Live Videos - People who view online videos are more likely to spend time watching live videos than ones that are prerecorded. Live videos can easily be done through your Facebook business page using your smartphone, and they’re a great way to connect new viewers to your website. This creates a more personal experience while saving you money by not needing fancy video recording equipment or a dedicated recording space. Give your customers a behind-the-scenes look at your building or spread the word about a company open house. DIY Animation - If you think you’d enjoy dabbling in animation or you like the looks of an animated video for your business, there are some simple, free animation tools online. While the quality will not be as great as paying an animator to make the videos for you, this is an easy way to create some fun little videos for your website. Put out some quick video content while learning how to create more complex animations! Start with Simple Edits - There’s plenty of different video editing software available for a range of prices and complexity. To see if you enjoy the process and are willing to learn more, pick out a simple, free editing software, and make some very simple changes to a short video. If you have a good message, your viewers won’t mind if the video is rough around the edges, and this content can even be endearing and build trust in your brand. As with any other type of content, once you’ve posted a few videos, you should pay attention to the analytics data. Check out factors such as how many views the videos receive over a period of time, click through rates of how many people continued on to your website after watching the video, and conversion rates of viewers who went on to make a purchase or sign up for your newsletter. This data can help you understand your audience better as well as figure out what types of videos get you new customers and followers or bring back old ones for more purchases. It can also help you see what you need to do to make those numbers grow. Try a few different types of videos and see what gives you the best rates of viewers and visitors. Knowing your customers and what draws them in can help you create videos that keep people coming back for more. The average person watches around 10 seconds of a video before they either decide to keep watching or move on, so try to hook them in within those first moments. Your content should be fun, personalized, and get to the point quickly. Having fun with your video content and being honest with your viewers will help launch your business’s online presence. Your videos don't need to be professional quality - they just need to be genuine, informative, and true to your business.